The Classroom of Love is making its way to Ludhiana for the very first time! In case you are wondering, it is a famous photography workshop by The Wedding Filmer. Whether you’re a budding film-maker, a photographer looking to expand the horizon or simply passionate about the telling real stories, there’s something for everyone to take away! 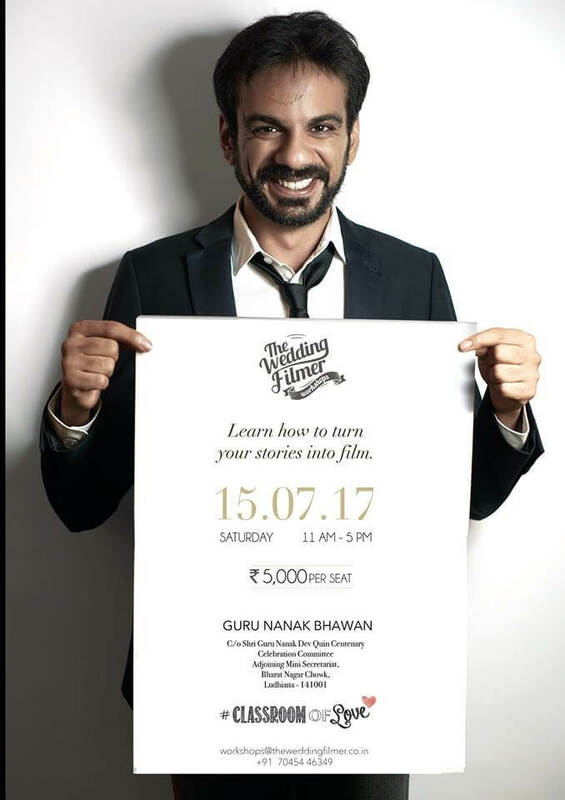 Come and learn the trade secrets as The Wedding Filmer deconstructs various scenes from their films and explain treatment real time. You can book your seat here. Please arrive at the venue by latest 10:15 am as the start time is 11:00 am. Seating will be on the first-come-first-serve basis. The founder of The Wedding Filmer, Vishal brings with him years of experience in storytelling and he’s here to nurture new talent, share trade secrets and bring magic alive on screen! With over 20 years of experience behind him, GC has carved a niche for himself as one of the finest sound engineers in the country. Learn from him how you can use sound to add a whole new dimension to the film! -Six hours of in-depth learning about our approach to film-making. -Refreshments and lunch at the venue. -A certificate to state that you are a trained wedding videographer! -A chance to work with The Wedding Filmer on a project best suited for you!